Beyond Birthday. He's gonna EAT you!!. 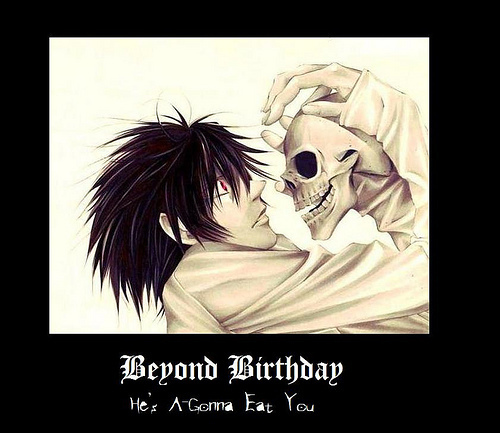 Wallpaper and background images in the Beyond Birthday club. Oops. Thought that was L when I found it on the internet. He wouldn't eat me! And if he tried I would run to L!